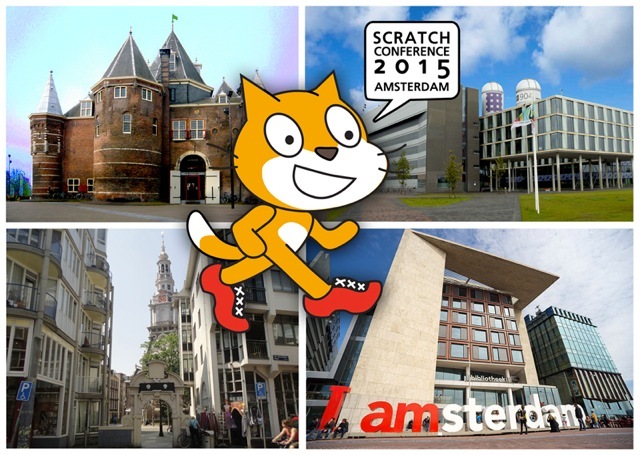 You are invited to the 2015 Scratch conference in Amsterdam, 12 – 15th August 2015. Teachers, researchers, developers and other members of the worldwide Scratch community are gathering to celebrate and share the creative possibilities of Scratch. This conference’s theme is “Creative Communities”. Communities inspire creativity, they enable people to share ideas, skills and discoveries. Your participation in the Scratch Conference will develop and strengthen the Scratch community.